Home to beautiful beaches, Torrey Pines Golf Course, and the world-renowned San Diego Zoo. It’s also home to, well, homes. A lot of them. And with that comes a lot of opportunities for home improvement projects. The weather in San Diego is great year-round. Don’t you want your home to look just as great? Home improvement projects are a great investment. 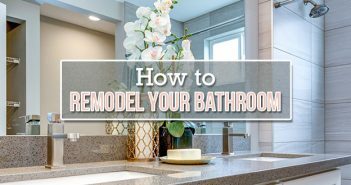 Think about that finished basement you’ve always dreamed about having, or that walk-in closet you’ve been wanting to put in the master bedroom. Not only are both appealing to look at, but they both add value to a home. Below are the top five home improvement projects for return on investment (ROI) in San Diego, according to the 2015 Cost vs. Value report published by Remodeling Magazine. ROI is the benefit to the investor resulting from an investment of some resource. A high ROI means that the investment you gain compares favorably to the cost of the investment. The first thing people see when they come to your house is the outside. So it always helps to have an exterior that is inviting to your guests. After all, first impressions are everything. If you’re looking to sell your house one day and the outside is anything but appealing, it could really hurt the resale value. That said, a vinyl siding replacement in San Diego can go a long way. Just how much? According to the Cost vs. Value report, a vinyl upgrade in the San Diego area has an ROI of 102.9 percent, which is the highest ROI of any home improvement project in the city. Nationally, the ROI for vinyl siding is still at a chart-topping 80.7 percent. If you love to be outside – and if you live in San Diego why wouldn’t you – a deck is the perfect addition to a home. Want to cook dinner on the grill? Walk out onto the deck and do so. Want to enjoy some drinks with friends on a Sunday afternoon? A deck will allow everyone to soak up the sun while you sip on a fine beverage. You’ll get a lot of use out of a deck in San Diego, and the Cost vs. Value report reflects that. The addition of a wood deck in San Diego has an ROI of 102.8 percent, much higher than the national average of 80.5 percent. If you’re looking to add a deck to your home, check out these tips on how to be prepared before building a deck. The door is beginning to deteriorate. The joints are coming loose. The exterior can’t hold a finish. The door is un-insulated or consists of a single pane of glass. You simply prefer a different style or design. An entry door replacement in San Diego has an ROI of 96.4 percent, with the national average being 101.8 percent. If your entry door doesn’t have any of the aforementioned problems and you don’t want to spend a lot of money, another option is simply refinishing and refurbishing your door. It’ll give your door a good makeover without the expense of a replacement. You know the saying, ‘If it ain’t broke, don’t fix it.’ This applies to many things, including garage doors. 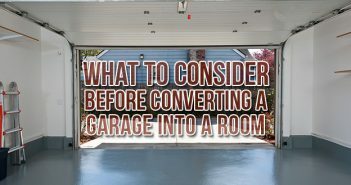 Replacing a garage door doesn’t cost nearly as much as other home improvement projects, but it costs a good chunk of change nonetheless. If you notice any broken parts, shaking, or inconsistent moving, it may be time to replace your garage door. Replacing a garage door in San Diego can see an ROI of 90.1 percent, which is slightly better than the national average of 88.4 percent. Have you ever gone to a house with a finished basement? Pretty cool, huh? If it includes all the bells and whistles, even cooler. Wall-to-wall carpeting, sofas, big screen TVs, a kitchenette, spare bedrooms … the list goes on and on. Each basement remodel is different depending on a person’s preference, but all remodeled basements are appealing to home buyers. The cost to remodel a basement is expensive. There’s no if, ands, or buts about it. A remodeled basement, though, is a great asset for a home to have. A basement remodel in San Diego has an ROI of 85 percent, which is 12.2 percent greater than the national average of 72.8 percent. 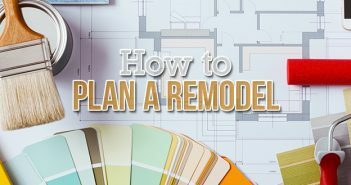 If you’re thinking about remodeling your basement, be sure to read these tips on how to prep for one. For more home improvement projects and the ROI for each one, check out the Cost vs. Value report. And now that you know which home improvement projects have the best ROI rates in San Diego, it’s time to start planning! Budget Dumpster can help assist you, too, by providing an affordable San Diego roll-off dumpster that is perfect for any home improvement project. Give us a call at 1-866-284-6164 and secure a dumpster for all your waste removal needs.